If you’re planning to build a shiny new blog, the question of whether to use WordPress.com vs. Blogger is likely to pop up sooner or later. Which of these platforms is more suitable for your blog? Which one offers more features and more designs to choose from? Read on to find out. WordPress.com is a platform where you can build a free website or blog. You can run a traditional blog, a business website, and even an eCommerce store, all while giving you access to user-friendly web design tools. Blogger.com is a platform designed for building a free blog. It gives you access to basic features, plus the option to monetize your blog through Google’s advertising platform, AdSense. WordPress.com’s biggest draw is that it’s incredibly versatile. With just a bit of tinkering, you can tune your site to serve as a classic blog, business website, eCommerce store, single-page site, and much more. Currently, you can pick from more than 200 website designs (themes) that cover most niches and purposes. Most of these themes are fresh and modern, and also optimized to work on mobile devices. Then, there are widgets and plugins. Widgets are handy tools available to all WordPress.com users; plugins are extra features accessible to WordPress.com Business plan subscribers. Widgets and plugins offer functionality like search engine optimization, contact forms, site backups, social media, image galleries, and more. Lastly, the community of WordPress.com users is truly vast, and many of them are available to give you a helping hand in the support forums should you ever encounter any site obstacles. Now for the cons. If you want to monetize your site or use more advanced features (such as plugins), you will need to sign up for a paid plan, which includes a subscription fee. The available plans range from $4 to $25 per month, based on the features you need. Blogger is probably a simpler platform than WordPress.com, and is more narrowly focused on building blogs. Since Blogger is owned by Google, many of its features will be integrated with your Google account. With Blogger, you can configure your site to work with Google AdSense, a popular advertising platform. One con of Blogger is that its feature set isn’t as wide as WordPress.com’s, and you can’t enable any additional features using plugins. Another con is the small library of themes to choose from. 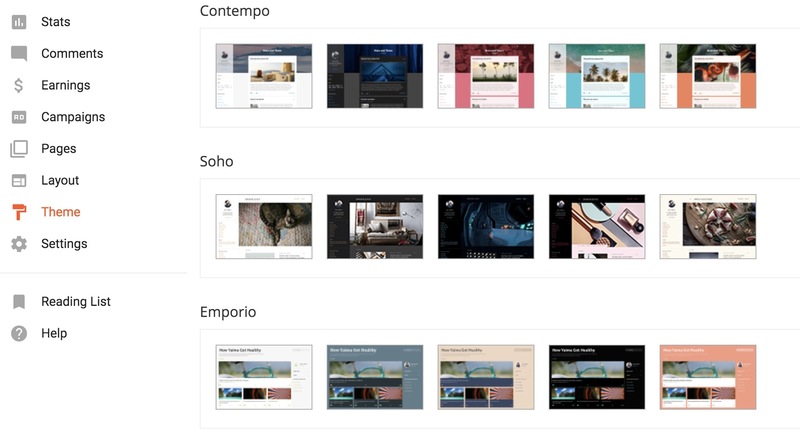 Moreover, many of the available themes are similar and only differ from each other in terms of color. At the end of the day, the decision comes down to the reason why you want a website in the first place. WordPress.com is a multi-purpose, extremely functional platform that grants you the ability to significantly customize your site. 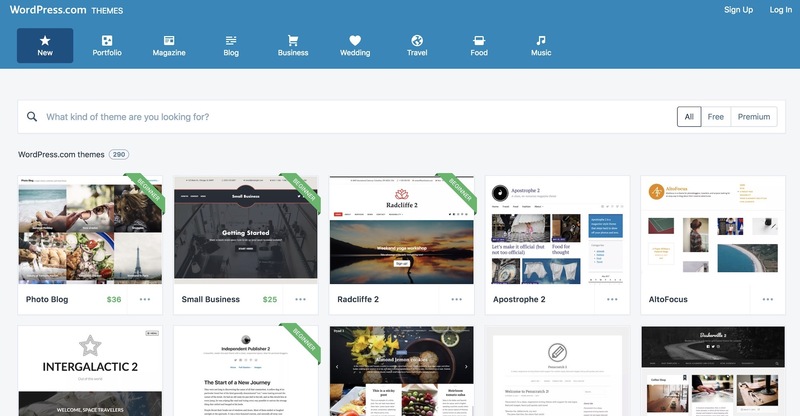 Blogger is a simplified blogging platform with built-in monetization capabilities through Google AdSense. So, who wins the WordPress.com vs. Blogger battle? Ultimately, the choice is up to you! Next PostWhat Is Taxonomy, and Why Does It Matter?